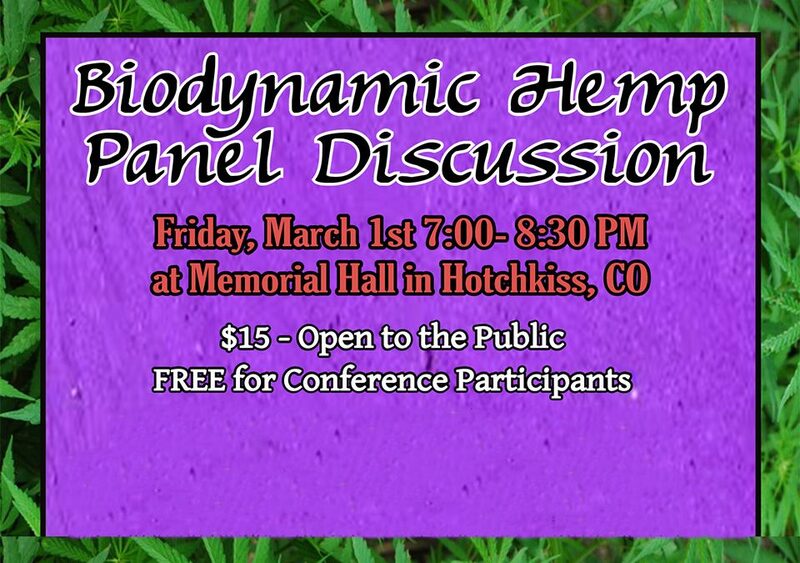 Mar 1 – Biodynamic Hemp Panel Discussion features Hugh Lovel, Lloyd Nelson, Jim Fullmer and Ryan Herring. Free for Prep Makers conference participants. 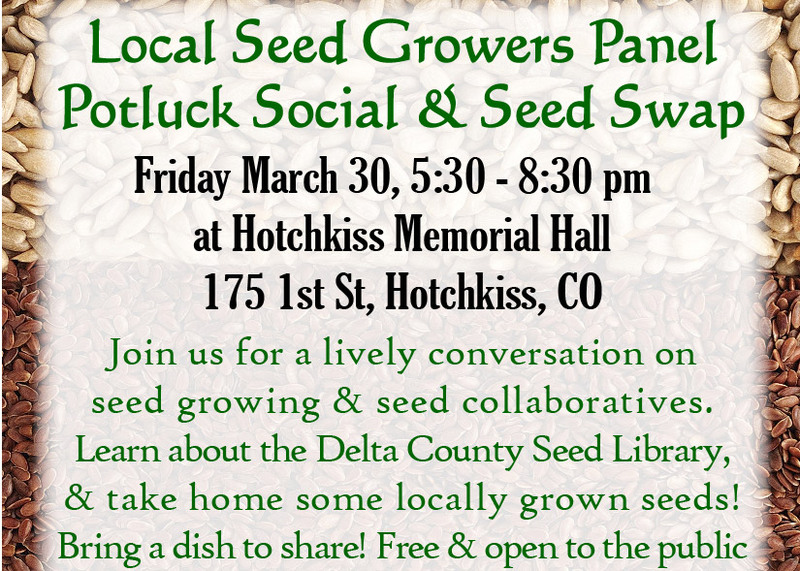 Mar30 – Join us for a local seed growers panel on seed growing and seed collaboratives. Learn about the Delta County Seed Library and take home some locally grown seeds! Bring a dish to share! Free and open to the public.